You know the feeling that you’re forgetting something? You see, I’ve been using the MINIX NEO X8-H Plus daily for most of this year. It has an important place, right underneath my living room television. It’s surpassed my Xbox 360 as my “go-to” set-top box for Netflix, and HBO Go. It’s even been voted as the “Best Android TV Box” for 2015. The trouble is, I’ve never told you why. So that’s my slip-up. I’ve been using this TV box for the better part of a year and never written a full review. It’s time to fix that. So, without any more delay, here’s my long-term MINIX NEO X8-H Plus review. 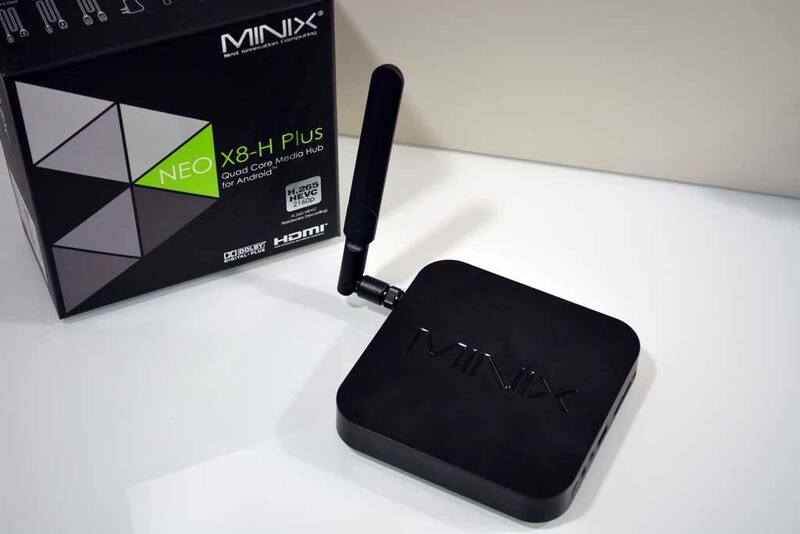 At the beginning of this year, MINIX announced two new models: the NEO X8 Plus and the NEO X8-H Plus. The NEO X8 Plus was not really a departure from the two previous models in the X8 series. It had almost exactly the same specs as the original X8, but doubled the storage to 16GB. The top-of-the-line NEO X8-H Plus is by far the more interesting of the two new models. It replaced the wildly popular MINIX NEO X8-H, which happened to win our Best TV Box of 2014 award. Until now, the entire NEO X8 line was based on the Amlogic S802 CPU series. For their new flagship TV box, MINIX decided to use the more powerful Amlogic S812 chipset instead. The Amlogix S812 keeps the same basic specs as the S802. It still has a quad-core Cortex A9 and an eight-core Mali 450 GPU. But there are a few extra tweaks under the hood that are great for media streaming TV boxes. The NEO X8-H Plus includes hardware H.265 video decoding, as well as H.264 that was found in the rest of the X8 lineup. Gigabit Ethernet and 802.11ac wireless are added in order to better handle heavy streaming bandwidth. What is H.265 and why is that such a big deal? H.265 is one of the compression formats that Blu-ray discs use. It allows for much higher quality video in a smaller file format. In other words, you don’t need as much bandwidth (network speed) in order to stream the same quality of video file. Even if you’re showing a video that’s not 4K, this is important, because you’re probably streaming that video to your big-screen TV, and not your small PC monitor, right? More importantly, it makes a 4K video source look (and stream) better so you have less stuttering, less blotchy video artifacts, and more seamless video playback. When I started this site, seeing what was included, and more importantly, what wasn’t included in the box, was a big deal. Now, most manufacturers have gotten pretty good about giving us everything we need to set-up a TV box without having to buy anything extra. Well, except for batteries in most cases. Let’s not go overboard, right? With that in mind, what’s included with the MINIX NEO X8-H Plus shouldn’t come as a surprise. It includes a basic infrared (IR) remote control, power adapter, HDMI cable, micro-USB cable and OTG cable, as well as an external dual-band antenna. There are some bundles that you can buy that include either the MINIX NEO A2 air mouse or MINIX M1 gyro-mouse as well. If neither of those are included, and you’re not crazy about the IR remote, then there’s a lot of other air-mice options that will work perfectly well. Setup was very easy. The Metro-Interface has the same look and feel as the rest of the NEO lineup. This makes it familiar, but a “freshening up” probably wouldn’t be a bad thing. Every single MINIX TV box I’ve tested has been literally “Plug and Play.” The only challenge is if you’ve purchased a box that shipped with a firmware version before 002, which is when MINIX switched from the old “toothpick method” of upgrades to a much simpler, Firmware Over The Air (FOTA) method. If you did get one of those older versions, don’t worry, I’ve created a post which will explain how to upgrade the firmware manually. If you’re on a firmware version after 002, then you can just go to the MINIX Update app and run that until it lets you know that there are no more updates. Unfortunately, you won’t be able to go right from, say, version 003 to version 007. You’ll have to process each update manually, but the entire process shouldn’t take that long, depending on your internet connection. You can check out this list, if you’d like to see what’s included in each firmware version. As expected, the NEO X8-H Plus provides a nice performance boost over the original MINIX NEO X8-H that we reviewed here. The NEO X8-H scored 28442, which is still a top-performing score, even today. 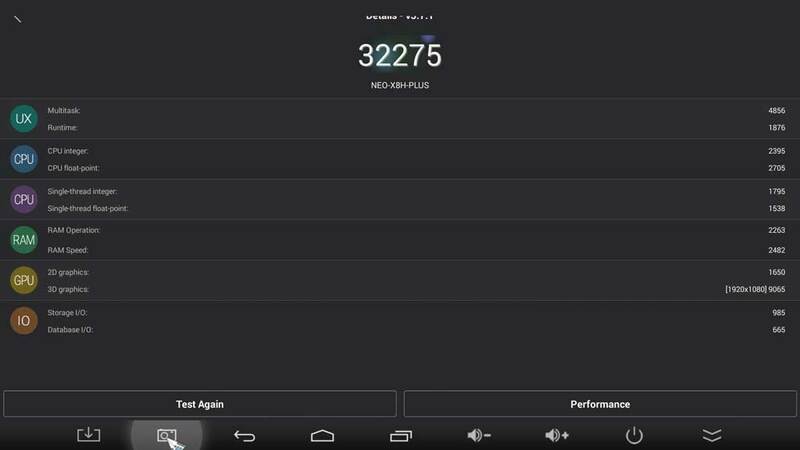 The NEO X8-H Plus ups the ante with an AnTuTu 5.0 benchmark score of 32275, using firmware 007. 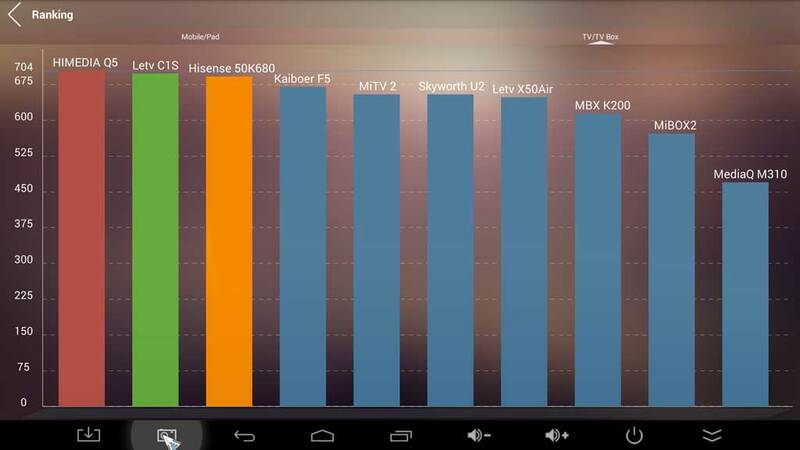 I have to say that a great benchmark scores doesn’t mean a device is going to perform well in the real world. 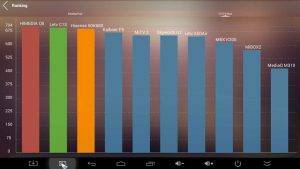 But, AnTuTu designs their benchmark to be as close as possible. The original firmware didn’t have very good 4K performance, using either MINIX’s custom implementation of Kodi\XBMC or the other media players that were tested. One of the biggest enhancements in firmaware 002 was it’s improvement in 4K playback. Be sure to take that into account if you’re looking at an early NEO X8-H Plus review. Now for the long-term part of this review. Having the MINIX NEO X8-H Plus as a daily use TV box for most of the last year, I was exposed to a a lot of things that I really loved, and a few things that really bugged me about it. I’m sure you’ve figured out by now that the good points far outnumbered the bad points, but I’ll include both here. One of the challenges with streaming media from different sources is that every file seems to have different properties. When a video ends, the device has to switch back to the default refresh rate. This can cause some issues if the video was at a much higher resolution than the default launcher. All of a sudden, half of your screen has vanished off the side of the screen. Adaptive refresh rate switching takes care of this automatically by switching the resolution and refresh rate so that you get a more seamless experience. Updating a device’s firmware used to be a long involved process which normally involved a delicate balancing act of pressing the power button while holding a toothpick in the reset button on the back of the device. Many Android TV box manufacturers still use this method, which always makes me wonder what they’re thinking. Windows has a lot of flaws, and most people who use an Android device are very quick to point them out, Still, Windows updates are a simple matter of clicking a button and letting the computer do the work for you. Updating a consumer electronics device like a TV box should be just as easy. MINIX isn’t the only manufacturer to provide OTA firmware updates, but it’s a nice feature, just the same. There are only five companies that are listed as Diamond Sponsors of the XBMC (Kodi) Foundation. Of those five, only three are hardware manufacturers – MINIX, WeTek and NVIDIA. I don’t know about you, but this makes me feel like there is a higher level of support and commitment to Kodi from MINIX – and also the other way around. MINIX may bundle a custom version of XBMC into their devices, but any enhancements they make are then given back to Team Kodi and included in subsequent versions. We’re all part of a big community, and it’s great to see a company giving back. One of the biggest frustrations that many users have with streaming devices is that you can’t stream Netflix in Ultra-HD unless you have an approved device. If a device isn’t on that list, then the resolution will default back to 720p. It’s just not practical for Netflix to test every device on the market. Unless you’re a manufacturer the size of Roku, NVIDIA, Amazon or TiVo, you’re not likely to be on the list. If Netflix is one of the main things you’re looking at in a streaming device, then this could be a big downside. The MINIX NEO X8-H Plus sets the bar pretty high for streaming devices. It’s stable and performs well – even with 4K video files. all of the initial hiccup shave been addressed with firmware updates. And the fact that there have been seven of these updates in less than a year since the product’s release shows a commitment from MINIX to make the NEO X8-H Plus the best it can be. The Metro-Interface is extremely user friendly, if a bit dated at this point, and lack of UHD Netflix is a continuing problem. But, if you can overlook these two minor issues, there’s no reason that the MINIX NEO X8-H Plus shouldn’t find a home underneath your television set, like it has found a place underneath mine. If I’d like to use this as Skype conference device. What kind of cam should I need to buy? One that connects via USB with the cpu, right? Hi Valerio. Thanks for your comment. The nice thing is that many cams out on the market will work with Android. I tend to stick to Logitech cameras, myself. I’ve had great luck with them in the past. Can I upgrade Kodi on my MINIX NEO X8-H Plus? The current installed version on my unit is 13.3 while Kodi has just released v. 16.2. The link to the MINIX version is on the download page for Firmware FW008. 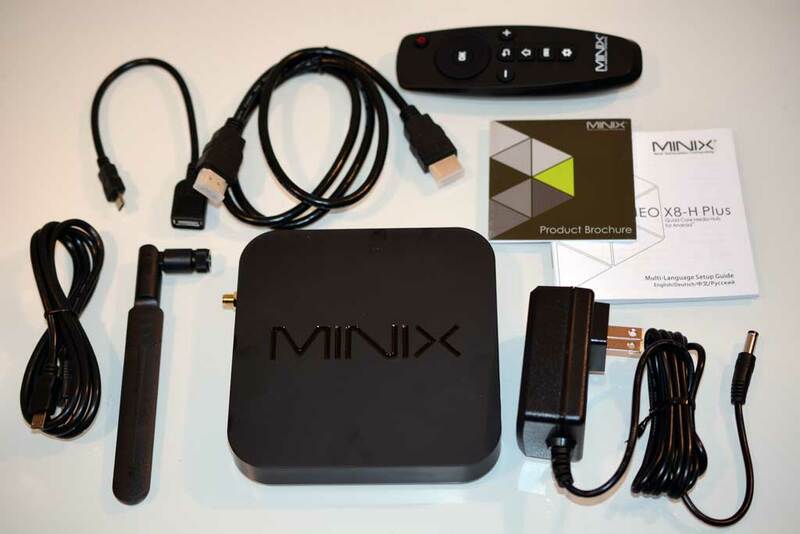 Read about midway through the first post and there will be a link to download MINIX XBMC there. Just wanted to add that I have Theo’s machine and although super you cannot upgrade to Krypton as it uses Kit Kat. Kodi 16.1 is its limit I’m afraid. I started looking at this review after reading about your recent review on the Zoomtak T8 plus and looking at the Minix U1 Out of the 3 what would be the best choice, they are all only a few dollars apart. I am leaning on the U1 because of the higher memory and new CPU. But it seems like all of them use the same GPU 450 so would the display be as good across all 3. My goal is to change out my older WD Live media player and get a unit that will expand on it’s functions like streaming HD Video. It would be nice if Netflix was available but I have a Roku 3 that does both Amazon and Netflix just fine at 1080p. I which the units had USB 3.0 support to hang a fast drive off it…. but in looking at the market it doesn’t seem like that is common. I have a 60mb download speed on cable so streaming should not be a problem. On some of the screens I see a “download” button, does that mean you can download the streams to a hard drive and build a library? Anyway I’m new to all this and research it as fast as I can.. I know what I want and I don’t mind paying a little more to make sure the video is great! With the lack of 4k video I’ll probably keep my 46″ 1080p sony but I could use 4k on my other TV witch is a 43″ Vizio which is a new 4k model. Hi Dave. Thanks for the question. The performance is pretty close, but I still recommend going with the MINIX NEO U1. MINIX has a great history of regular firmware updates and a great community support forum at http://www.minixforum.com/. That combination is pretty hard to beat. Does this device support Airplay or Google cast ? OTA firmware updates can you explanation in better detail is automatic or do have to remove the old firmware. This is the great gadget. i am using it and its working great. Hi was wondering can x8h plus upgrade to marshmallow. I recently were able upgrade to lollipop and saw there is upgrade to marshmallow. 2, I notice some of Asian app are not able to play. Don’t known if this is right to ask but I you are great support of MINIX so I ask.